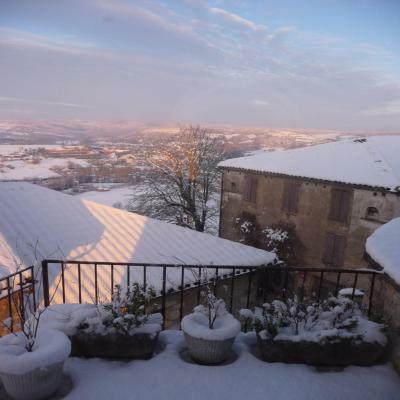 Lock in a great price for Chambres d'hôtes l'Escuelle des Chevaliers – rated 9.4 by recent guests! 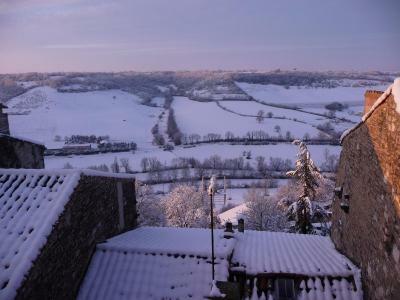 Perfect location in beautiful village of Cordes sur Ciel. Hosts were very friendly and very accommodating. Would definely recommend. Suggest reserving room with larger bed (queen size bed). Lovely place, very old building, full of character. Staff was absolutely lovely, nice simple breakfast, very spacious room. 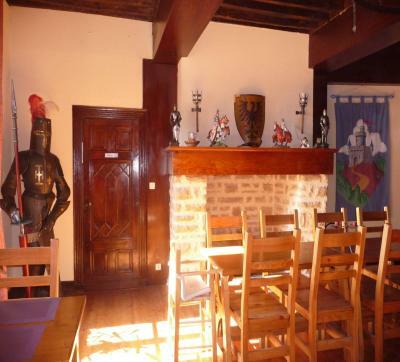 Unique atmosphere....medieval, knights and horses theme in a 13th Century house Free parking Welcoming hosts who offered good advice on where and where not to eat and which surrounding towns to visit. 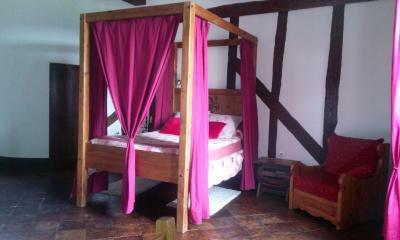 Four poster bed and modern bathroom. 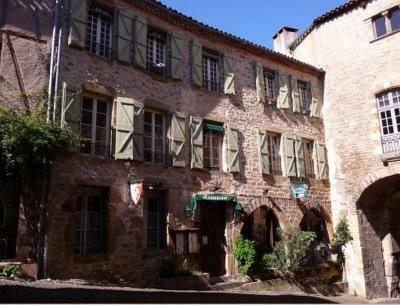 It is an old and beautiful property, situated in the old town. Very nice accommodation, exactly as advertised. Everything was orderly and proper. We were warmly welcomed and would have liked to to have stayed a bit longer. 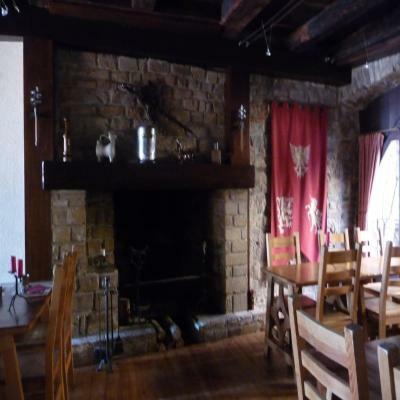 I am recommending this property to a colleague who will be travelling to Midi-Pyrénées later this year. Aménagement et décor de l’hôtel et de la chambre super. Accueil très agréable. Les gâteaux faits maison proposés au petit-déjeuner (ce pain d'épices : miam ! 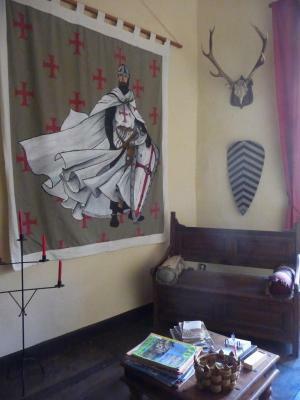 ), différents chaque matin, et les costumes médiévaux mis à disposition sont ce genre de petit plus qui donnent envie de revenir à l'Escuelle des Chevaliers ! L'accueil, la chambre très spacieuse, les costumes médiévaux à disposition. 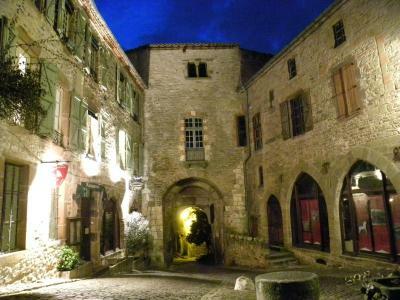 Set in a medieval house, Chambres d'hôtes l'Escuelle des Chevaliers is located in Cordes-sur-Ciel and offers bed and breakfast accommodations. 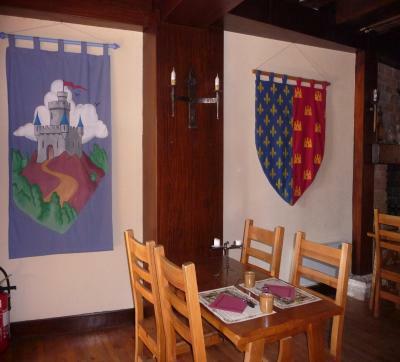 Guests can enjoy an authentic medieval experience. 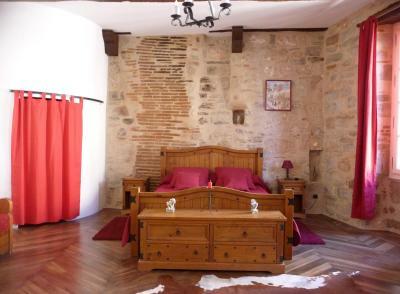 The guestrooms at L'Escuelle des Chevaliers are individually decorated in a medieval style and feature parquet floors. An electric kettle, a wardrobe and a private bathroom with a walk-in shower are provided in each room. Every morning a continental breakfast is served in the dining room. 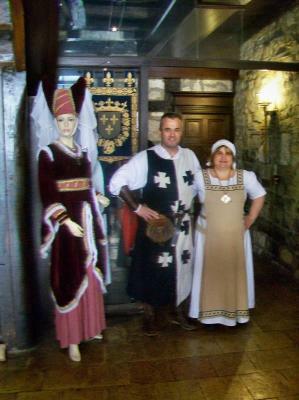 Guests can borrow medieval costumes at the property. 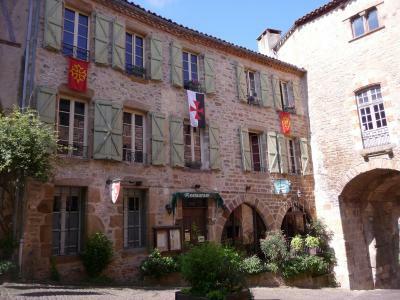 This property is also rated for the best value in Cordes-sur-Ciel! Guests are getting more for their money when compared to other properties in this city. 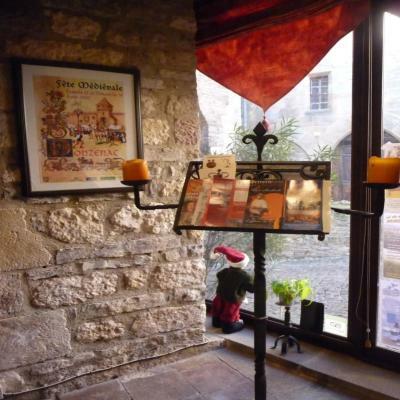 When would you like to stay at Chambres d'hôtes l'Escuelle des Chevaliers? This room includes a welcome tray with an electric kettle and a private bathroom with a walk-in shower. This more spacious room provides a welcome tray with an electric kettle and a private bathroom with a walk-in shower and toilet. This more spacious room provides an electric kettle and a private bathroom with a walk-in shower and toilet. 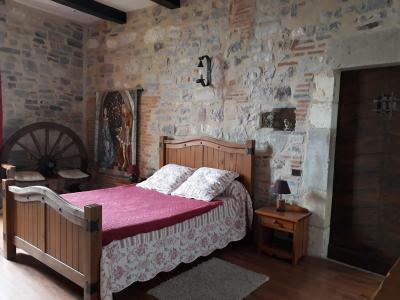 This room provides a welcome tray with an electric kettle, a sofa and a private bathroom with a walk-in shower and toilet. This room provides a welcome tray with an electric kettle and a private bathroom with a walk-in shower and toilet. House Rules Chambres d'hôtes l'Escuelle des Chevaliers takes special requests – add in the next step! Chambres d&#39;hôtes l&#39;Escuelle des Chevaliers accepts these cards and reserves the right to temporarily hold an amount prior to arrival. 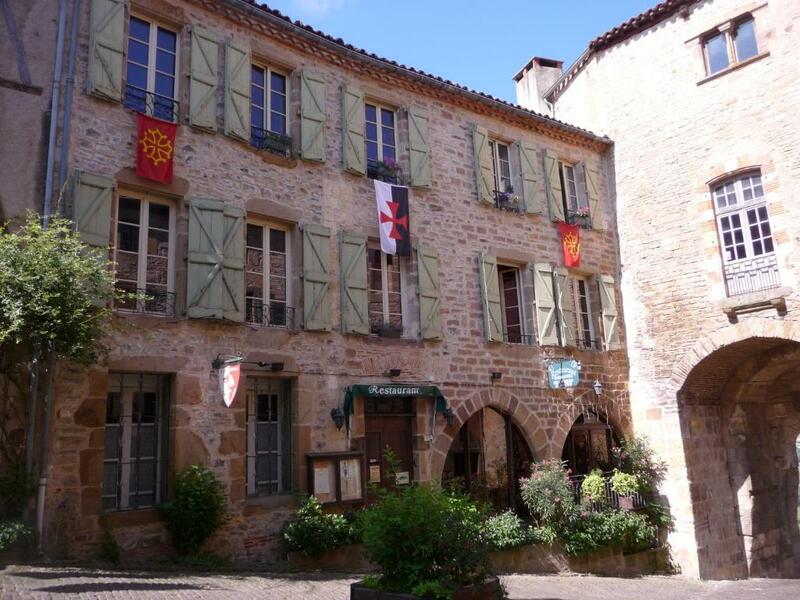 Chambres d'hôtes l'Escuelle des Chevaliers accepts these cards and reserves the right to temporarily hold an amount prior to arrival. Please note that guests wishing to dine in the restaurant are requested to reserve a table at least 72 hours in advance. From 30 September to 30 October and from 1st April to 30 June, the restaurant is open from Friday night until Sunday lunch. 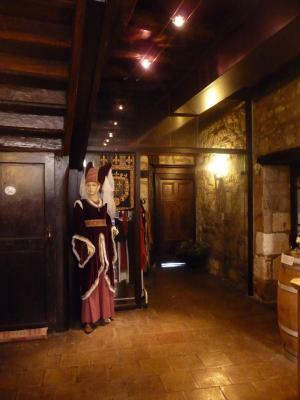 The restaurant is closed between 01 November and 30 March. 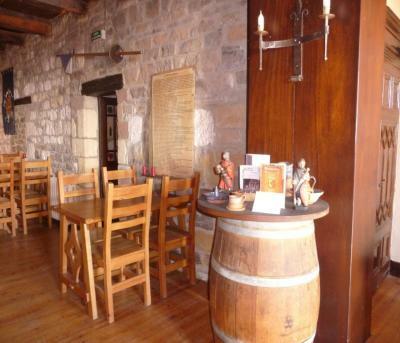 In July and August the restaurant is open in the evening from Monday to Saturday and on Sunday for lunch. Please inform Chambres d'hôtes l'Escuelle des Chevaliers of your expected arrival time in advance. You can use the Special Requests box when booking, or contact the property directly using the contact details in your confirmation. The bathroom in the room we chose didn’t have a door, and I like my privacy, so I didn’t like that part. Parking is on the street, but they give you a permit, so no problems at all. 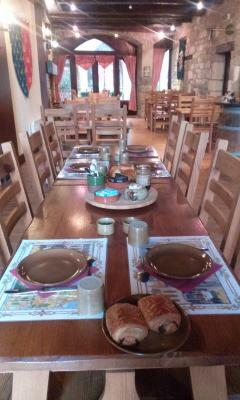 Breakfast was rationed according to the number of guests. I have no real complaints. I only wish I had a mini fridge because all stores in the old town close their door very early to our latin standards.